Within a few days recently, President Donald Trump's personal attorney Rudy Giuliani had to walk back or clarify a series of his public comments regarding the ongoing Russia investigation. Giuliani did so after declaring on CNN last week that he "never said there was no collusion between the campaign" and Russia; when he told NBC News and The New York Times the Trump Tower Moscow negotiations went on months longer than Trump or his former attorney Michael Cohen had said; and after he claimed on CNN that Trump and Cohen discussed his testimony to Congress — Cohen has pleaded guilty to making false statements to lawmakers — ahead of time. All of those Giuliani comments either contradicted Trump's past statements or were out of line with the White House's narrative. Such clean-ups and reversals from Giuliani are nothing new for those who have closely followed his time as the face of Trump's legal team. But for those who've observed Giuliani for decades — both as U.S. attorney in Manhattan and New York City mayor — the gaffes couldn't be more out of character. 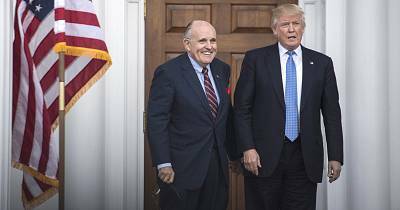 "I remember back when he was mayor he would deliver a two-hour budget presentation without any notes, and do it flawlessly," Giuliani biographer Andrew Kirtzman told NBC News. "One of the things that was so impressive was his extraordinary grasp of facts." "That kind of precision that he was famous for is missing," he added. "His inability to stay disciplined with the facts, that has been the biggest surprise to me." Paul Moses, who covered Giuliani for Newsday, echoed Kirtzman. "He came in as mayor and mastered the details of city government very quickly. He knew the law, he knew where he could push it, and he took advantage of that," Moses said. "He just seems very imprecise now, constantly waffling and changing, and certainly that would not have been characteristic of him in the past." The latest round of Giuliani's commentary has reportedly caused some consternation in the White House. Politico reported Trump was "apoplectic" following his attorney's recent interviews. The Associated Press, meanwhile, said Trump and allies raised the possibility that Giuliani be temporarily sidelined from media interviews. A senior administration official last week criticized Giuliani's recent spate of comments, saying they are "not helping" and adding that he shouldn't appear on TV "if nothing good can come of it." Giuliani did not respond to a request for comment from NBC News. But speaking to Politico, he pushed back on the idea that the president is frustrated with him and insisted he has a "mastery of the facts, which is why I can spin them honestly, argue them several different ways." 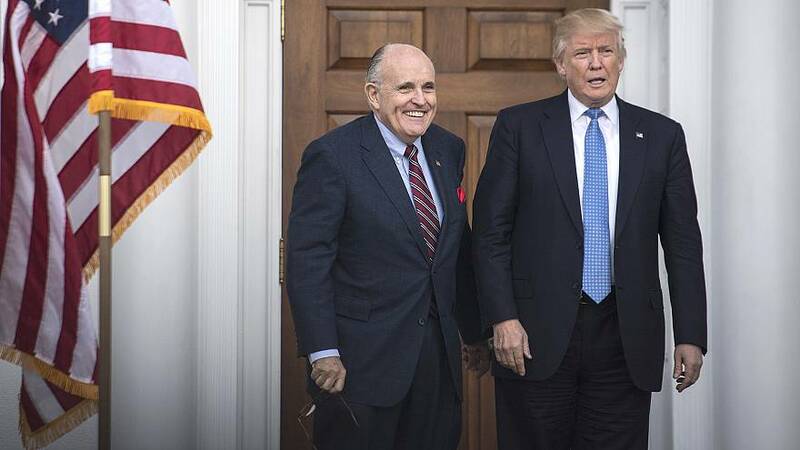 On that latter point, Giuliani's strategy is been seen by some as a calculated effort to improve Trump's public standing in comparison to special counsel Robert Mueller and possibly soften the impact of any impending bad news. "I don't accept at face value the idea that Giuliani just makes these comments freelancing and then Trump hears them and gets upset or corrects him and then Giuliani walks it back," said Mimi Rocah, a former federal prosecutor under Giuliani and an NBC News/MSNBC legal analyst. Rocah said that she believes the strategy is likely part of a larger plan to get Giuliani out ahead of bad information so the public is "desensitized and normalized to it." Moses said he thinks the misstatements are the product of having "a difficult client and a difficult case." "He sees public opinion as his best ally in protecting his client," Moses said. "The court of public opinion is much less precise than the legal system, so it seems as if he's constantly bobbing and weaving to come up with things that will diffuse the information he knows is there or maybe fears is there. It just involves him changing his story a lot." Kirtzman said he was sure Giuliani was "trying to soften the ground to some extent, but not at the extent of making himself look foolish." "That's what's happened," he added. "Giuliani is not going to sacrifice his reputation just to take one for the team for Trump." "I am afraid it will be on my gravestone. 'Rudy Giuliani: He lied for Trump.' Somehow, I don't think that will be it. But, if it is, so what do I care? I'll be dead. I figure I can explain it to St. Peter." "I don't think this will be the lead of his epitaph," said Rob Polner, who covered Giuliani for Newsday and edited a biography of him, pointing the dramatic reduction in crime in New York City he oversaw as mayor and his widely praised handling of the September 11 terror attacks' aftermath in the city. Others think it's had a much more substantial impact. "After September 11, he was a living saint in the eyes of people around the world," Kirtzman said. "He was lauded around the world. And now, those days look very far away...He's misfiring in his public appearances and he has people laughing at him." Moses said, "I think he has gone back on his legacy, because he is really in many ways defining ethical deviancy downward as a part of the defense of his client." Still, the present-day Giuliani doesn't come across as a total stranger as he battles on Trump's behalf. "Even though he's been erratic factually at times, he's basically effective as a pit bull in the media arena for President Trump," Polner said, adding Giuliani has always been "at ease with confrontation." "He was never very comfortable in peace time," he continued. "He liked to have a fight on his hands."